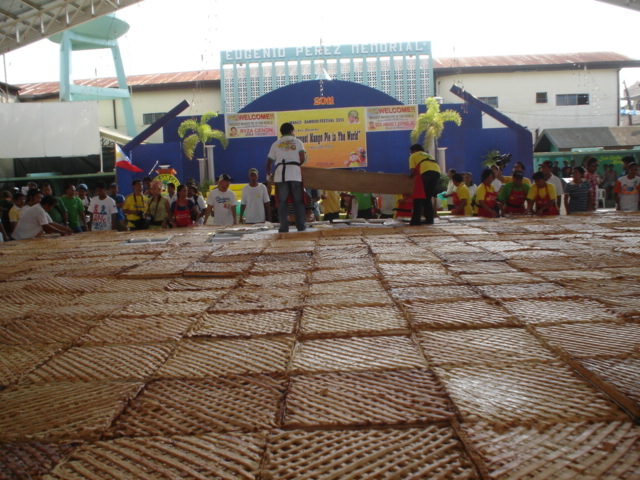 A 100 square-meter mango pie was San Carlos City, Pangasinan entries last April 26, 2011 to the Guinness Book of World Record. San Carlos is the biggest producer of Mango in the Philippines (Photo and text by Mortz C. Ortigoza). The National Federation of Hog Farmers, Inc. once again convened its members during its 20th National Convention held last April 14-15 at Baguio Country Club. The convention had for its theme “Sa Matuwid Na Landas, Babuyan Ay Uunlad” which is in support to the call of President Benigno Simeon Aquino III for matuwid na daan for a better Philippines. This year, distinguished guests were Senator Francis “Kiko” Pangilinan, Batangas Rep. Mark Llandro Mendoza and Agriculture Secretary Proceso Alcala who attended on the first day. The three leaders all tackled issues on raw materials and on excessive importations challenging the hog industry now. The 2nd day was highlighted by the presence of Customs Commissioner Angelito A. Alvarez as guest of honor. He discussed ways and means on how to support the local industries and committed to go after unscrupulous revenue cheaters. The swine raisers hoped to unite and contribute to viability of the local swine industry for survival and ultimately support its allied industries like corn farmers, fishermen, coconut & sugar planters, and the local veterinary drug companies. The two-day event featured exhibits from the industry’s major players, namely, the veterinary drug companies, breeder companies, integrators and swine practitioners, and other partners from the private and government sectors. Also featured during the two-day event were technical seminars which aimed to arm the local swine raisers for all the challenges facing the industry. LCP’S TOP HONCHOS: (From Left) League of Cities of the Philippines’ Secretary General Hernani Braganza and LCP’s President Oscar Rodriguez. ALAMINOS CITY – Secretary General Hernani Braganza of the 122-strong League of Cities of the Philippines (LCP) is still optimistic that the Supreme Court will favor the group’s second Motion for Reconsideration (MR). The first MR of LCP was rejected by the court in a 7-6 votes last April 12. Braganza, mayor of this city, said the group’s optimism is anchored on the final and executing decision of the Highest Tribunal in rejecting the bid for cityhood of the 16 towns when it resolved it as unconstitutional in November 2008. In August 10, 2010, the court rejected for the second time the Motion for Reconsideration of the municipalities as unconstitutional. In February 15, 2011, however, the high court reversed itself in favor of the towns. Braganza said that in case the SC rejects LCP’s 2nd motion, some of his fellow city mayors will seek justice somewhere else. “So, iyung iba sinasabi sa kongreso e siyempre sa kongreso you need the congressmen to endorse the impeachment”. Braganza, a former congressman and a cabinet secretary, said that mayor-members of the LCP have met in Davao City last April 27 to discuss and map out their steps vis-à-vis the dilemma they face at the court. URDANETA CITY- More than 5,000 consumer-members of the Pangasinan III Electric Cooperative (Panelco III) attended the 23rd General Assembly held at its Multi-Purpose Hall in Nancayasan village here on April 16. It was also attended by Provincial Liga ng mga Barangay President Amadeo T. Espino , who represented Governor Amado T. Espino, Jr., Guest of Honor and Speaker, Atty. Fulgencio A. Vigare, Jr., Oversight Administrator for Electric Cooperatives of Cooperative Development Authority (CDA), CDA Asst. Regional Director Josefina B. Bitonio, CDA Asst. 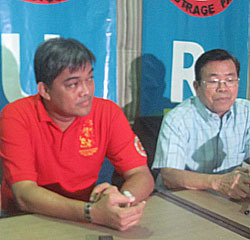 Regional Director Angelito U. Sacro, Urdaneta City Mayor Amadeo Gregorio E. “Bobom” Perez IV, Laoac Mayor Silverio Alarcio, Jr. and Asingan Mayor Heidi Ganigan-Chua. In a brief program, Mayor Bobom Perez welcomed the consumer-members and guests stressing the importance of the electric cooperatives in bringing development through electric power in every municipality and barangay in the country. He lauded the Board of Directors headed by Engr. Norberto M. Del Prado and the management staff of Panelco III headed by General Manager Ferdinand M. Cerezo for the efficient service to the consuming public. “Panelco III is an instrument of development. Without electricity, government offices will not be effective and efficient in providing services to the people. Office machines and traffic lights will not run without electricity,” he said even as he committed the city government to support the programs and projects of the electric cooperative. In his opening remarks, Norberto M. Del Prado, Chair of the Board of Directors, explained the purpose of the annual assembly which is to provide the 2010 financial and operational reports of Panelco III and to present the amendments of the by-laws of the electric cooperative in consonance with Republic Act No. 9520 or the Philippine Cooperative Code. “There is a problem in our procurement system. Last year, we spent 66 million for our supplies and I am giving full authority to GM (Ferdinand) Cerezo to scout more suppliers for fair playing field. We have to save a lot as possible,” Del Prado told the consumer-members. Del Prado also said that with the approval of the amendments of the by-laws, election of new members of the Board of Directors will follow. “We will start the elections in the Districts where there are vacancies in the Board. These are District I composed of Villasis, Sto. Tomas, Barangays Carmen East and West of Rosales, District III composed of Mapandan and Laoac and District VIII composed of Sta. 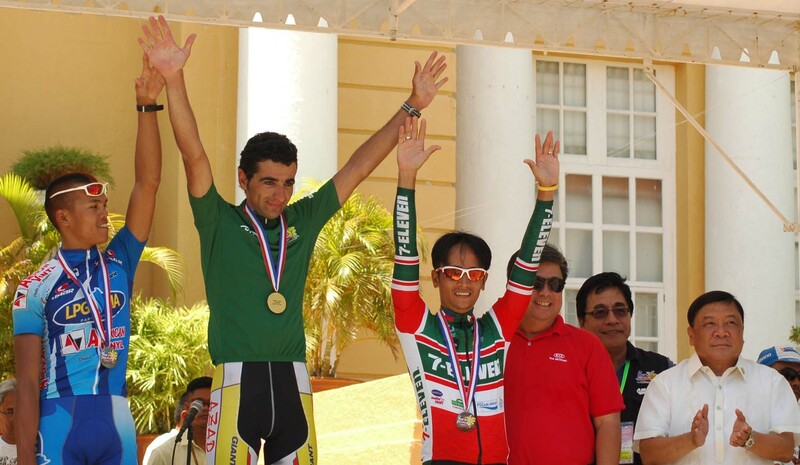 Maria, Balungao and Rosales,” he further said. Other districts are: District II- Urdaneta City, Barnagy Inamotan (Manaoag), District IV- Binalonan, Pozorrubio, District V- Asingan, San Manuel, District VI- San Nicolas, Tayug, Natividad and District VII- San Quintin and Umingan. Speaking in behalf of Governor Espino, Provincial Liga ng mga Barangay President Amadeo T. Espino urged the consumer-members to lessen their consumption on electrical power due to the impending problems on oil supplies from the Middle East especially Libya. “Save electricity. Program the use of your appliances. Know what appliances are to be maintained and not to be overused. Be conscious also in paying your electrical bills. This is your prime responsibility,” Espino told the consumer-members. Espino donated P10,000 which was raffled off to the consumer-members. He also received the Plaque of Appreciation in behalf of Governor Espino, presented by General Manager Ferdinand M. Cerezo. After the brief program, the highlights of 2010 financial and operational accomplishments of Panelco III were presented. In between presentations, raffle draws of appliances were conducted for the consumer-members. The amendments to the by-laws were presented and ratified by the consumer-members. Also in attendance were: Engr. Huberto Y. Te, Asst. General Manager, Director Peter A. Chua, Director Herminio Rabang, and Director Donald C. Uy. Lenten season is observed worldwide by Christians. It starts on Ash Wednesday and culminates on Easter Sunday. Between these periods is the celebration of the Holy Week which depicts the sufferings of the Christ until He was nailed on the cross for the salvation of mankind. The Holy Week starts on Palm Sunday when Christ’s entrance to Jerusalem is commemorated. Holy Monday to Maundy Thursday is observed for His last supper with His disciples and trial under Pontious Pilate through the prodding of the Jewish’s Sanhedrin. Holy Friday is believed by Christians as His way to Golgotha where He was nailed to the cross along with two thieves. Before His last breath on the cross, the Christ uttered seven famous statements which is now regarded as the”seven last words” on the cross. In many Christian churches which observe the Holy Friday- Catholics, Lutherans, Baptist, Methodist, Presbyterian, Pentecostal (born-again), the “seven last words” are given much importance, each of which is explained and meditated on by the faithful Christians. The “seven last words” which were uttered by Christ on the cross more than 2,000 years ago are believed to have been uttered for the humanity to ponder on, and to provide inspiration for faith and salvation. Are those “seven words” still relevant in the present time? Let’s take a look at them. 1. Father, forgive them for they don’t know what they are doing? God is watching us. He is in control of everything and yet His adversary –Satan is roaring like lion and taking reins of the earth’s system. That is why people yield to temptations and to earthly pleasures. There is no personal contentment which leads to corruption, avarice for power and social and political degradation. Lord, forgive these people. Out of their tongues they confess to serve you and yet deep in their hearts, they are cheating the people they want to serve. Yes, Lord they don’t know what they are doing. They are blinded with the earthly powers purportedly coming from the “paid” electorates during elections. 2. Today I will tell you, you will be with me in Paradise. How lucky that thief on Christ’s right was! He was the ever recorded person in the Bible in which Christ uttered those words. But what made Christ said that was due to two reasons. First, the thief recognized his sins and second he recognized Christ as the Son of God. 3. Mother, behold your son. Son, behold your mother. Let’s behold our motherland- Philippines. Let’s behold our province-Pangasinan. Let’s behold our towns and barangays. They are likened to our “mothers” who care for us. We are the sons and daughters, and we have the obligations to see to it that we live in an environment of peace and order. We will see to it that proper delivery of basic services are provided by our political leaders. Behold, the corrupt officials. Behold, those giving us “lip service” and think twice, not once, not to vote them again in power come next election. Lord, why have you forsaken us? Why did you let our provincial officials in Pangasinan to abruptly raise our land taxes in spite of economic difficulties? Who give them the wisdom for such action? Lord, did it come from you? And Lord, give us the courage to face the challenges of time. Please don’t forsake us in times of natural disasters- earthquakes, tsunamis, flood and even during famines. Let these be the tests of our faith on you. God is in thirst of our love to Him. With the presence of many technological gadgets, people are shying away to the real service to the Creator. They have more time on their computers, laptops, cellphones, ipods and ipads. God is being laid away. The materialistic world stops us from serving God. The techie gadgets are now “demigods” that our lives are devoid of spirituality. Yes, we too are in thirst for justice of the many unsolved “celebrated” crimes. We are also in thirst of real public service from our politicians. Our new graduates are in thirst of employment. When will this government stop sending overseas Filipino workers in other countries and create jobs for them? Yes, we are thirsty of social justice. When will be the time that there will be no longer “squatters” in our country- no slums, no shanties but decent homes for the poor? Lord, the imposition of the Ordinance on increased land tax in the province of Pangasinan is already finished. Many towns are already imposing it even without prior consultations with the taxpayers. Governor Amado T. Espino Jr. announced in a press conference that it will be implemented this year, not in 2012, and there is no turning back on its imposition. The Ordinance was already consummated – the Board Members said. Yes, Lord they are in need of more revenues – more money to defray the expenses used in buying the 16 Ford Everest sports utility vehicles (SUVs). Can we still have time to contest the said Ordinance? Or, just defy it, Lord? 7. Father, into your hands I commit my spirit. Whatever situations we are experiencing now, let’s leave that to the Lord. We are facing more life’s difficulties- increase prices of commodities and oil products coupled with the presence of natural disasters and calamities. We will commit all these things to God. He is still our last bastion of hope and eternal happiness. Gov. Espino is my Governor, iyan ang sinabi ni Alaminos Mayor Nani Braganza. I will continue to support him as long as it is for the good of the Province. Bok Nani, tuloy na tuloy na talaga ang international airport diyan sa Alaminos. Nabigyan ka na pala ng P75 million na land acquisition fund. Iba na talaga kapag kaibigan mo ang Presidente at kapartido mo pa.
DAGUPAN’S WELFARE. Sabi Dagupan City Councilor Dada Reyna na ang kapakanan ng bayan ng Dagupan ang dapat isaalang alang sa lahat ng mga isyu na namamayagpag ngayon. Mahirap ang katayuan ni Dada Reyna dahil siya ay naiipit sa bangayan ni mayor at ni vice mayor. Sabi ni councilor Reyna na iyong proposal ng mga punong barangay na P150,000 budget para sa participation nila sa Bangus Festival ay approved na tapos may dagdag pa na P100,000.00 para sa pagsasaayos ng drainage canals at fumigation laban sa mga lamok bilang paghahanda sa tag ulan. 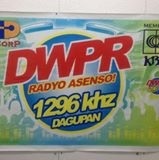 RPT PA RIN! Pareng Orly Navarro, hindi daw po against si Abono Chairman Rosendo So sa revision ng real property taxes dahil ito ay nasa batas. Ang gusto niyang sabihin ay kontra siya sa amount ng increases. Ano ba ang parameters kung bakit ka magdadagdag ng 1 percent sa real property valuation? May standard schedule ba na ginamit para makarating sa figure na 100% o sa 867% na amount of increase? Ang isa pang sinasabi ni Chairman So ay ang BIR ay nakagawa na din ng sariling updated proposed zonal valuation pero hindi ipinapatupad ng BIR dahil sila ay sumusunod sa utos ni Presidente Noynoy na wala munang bagong tax na ipapatupad. Sabi rin ni Chairman So na tama na mabayaran ng mas mataas ang mga may ari ng lupa na tatamaan ng TPLEX pero kokonti lang sila kumpara dun sa lahat ng nagbabayad ng amilyar. Sabi pa rin ni Chairman So na ayon sa NIA, 30% ng farms along Agno River ay tinatamnan ng owner-cultivators. Ang 30 percent na bilang ng mgasasaka along Agno River ay hindi biro. Marami iyan. Ang inaalagaan ni Chairman So ay ang political future ni Gov., dahil naaalala pa niya na si Sen. Ralph Recto ay nagdala ng 2% increase sa VAT at hindi siya nakalimutan ng tao noong 2007. Natalo si Recto dahil sa Value Added Tax. Dapat lahat tayo ay maging masusing estudyante ng kasaysayan. Patuloy ang pagtaas ng presyo ng petrolyo, pagtaas ng presyo ng asukal, pagtaas ng presyo ng sardinas, at iba pa.
Kung ang BIR ay hindi nagpapatupad ng bagong Zonal Values, puede rin sigurong hindi muna magpatupad ang probinsiya ng bagong real property taxes. STATEMENT OF SUPPORT. President Benigno Aquino III receives a statement of support from the Province of Pangasinan through Gov. Amado T. Espino Jr and Vice Governor Jose Ferdinand Z. Calimlim Jr.
WATING FOR PNOY. San Carlos City Mayor Julier ‘Ayoy’ Resuello (partly hidden), 3rd District Rep. Rachel Arenas, 6th District Rep. Marlyn Agabas, Abono Party-list Chairman Rosendo So and Alaminos City Mayor Hernani ‘Nani ‘Braganza exchange ideas as they wait for President Benigno Aquino III.